Camping, Hunt camp, Man Cave, She Shed, Garden Office, Work Shop... You decide!!! 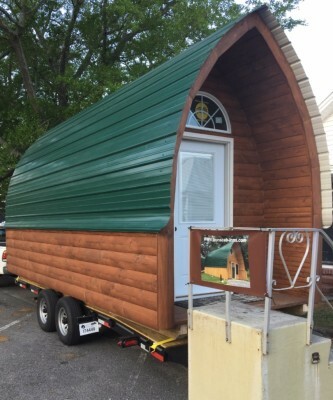 Don's Camp Cab-Inns are featured in Explore Park near Roanoke Virginia! This 1100 acre adventure park will include a disc golf course, mountain bike trails, hiking and equestrian trails, ropes/zipline course, boating on the Roanoke River and other activities. 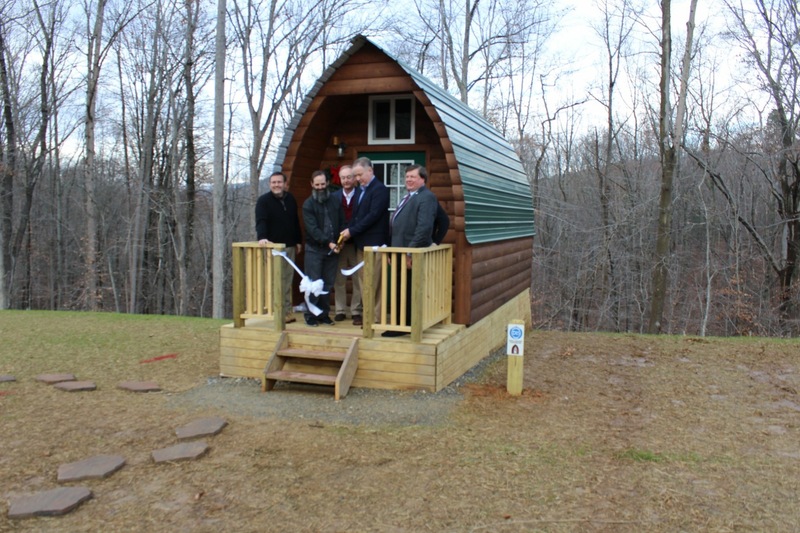 Don's Cab-Inns will provide cabin and yurt camping for those who choose to stay and enjoy all of the exciting features of the park. 8.5'X8' to 8.5'X16' and come on thier own trailer, ready to move whenever and wherever you want! Each cab-Inn comes fully equiped with heat, A/C, ceiling fan, kitchenette/dinette (no plumbing), queen bed frame below and sleeping loft! Any or all of these extras can be left off in order to reduce price. Shipping -- $2.50/mile from zip code 24179 up to 400 miles with a minimum of $100. 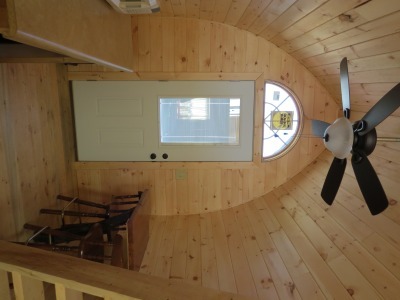 Pictures from Tiny House Festival in Pink Hill, NC. Camp Cab-Inn with most of them taking a tour! Watching them roll in and out!